Every year on April 7, World Health Day, developed by the World Health Organisation (WHO), is celebrated. While it only marks one day on the calendar, it's philosophy should be considered every day of the year. World Health Day was decreed by WHO to encourage not just reflection but action. So, after this year's holiday, we reflected on the messages shared and how SnackWize as a company can play a bigger role in educating ways to live a happier, healthier life. Health is a common denominator among all humans; without being in good health and health conscious, quality of life can be poor. So, it makes sense to raise awareness about what it means to be healthy. At SnackWize, we’re very fond of health and promoting ways to achieve it. Since we are a workplace and support our clients' workplaces, we gathered together 10 actionable tips for a healthier workplace. Work is an important part of most people’s lives, but it shouldn’t be the only part. The best employers don’t push people to work more, they instead push them to take a break and recharge. The truth is that pushing yourself too hard doesn’t have any factual relation to being better. In the workplace, it’s really the opposite, as noted in a research paper from Wellness & Prevention. Working too hard and too long builds up a lot of pressure that translates to anxiety, depression and burnout. 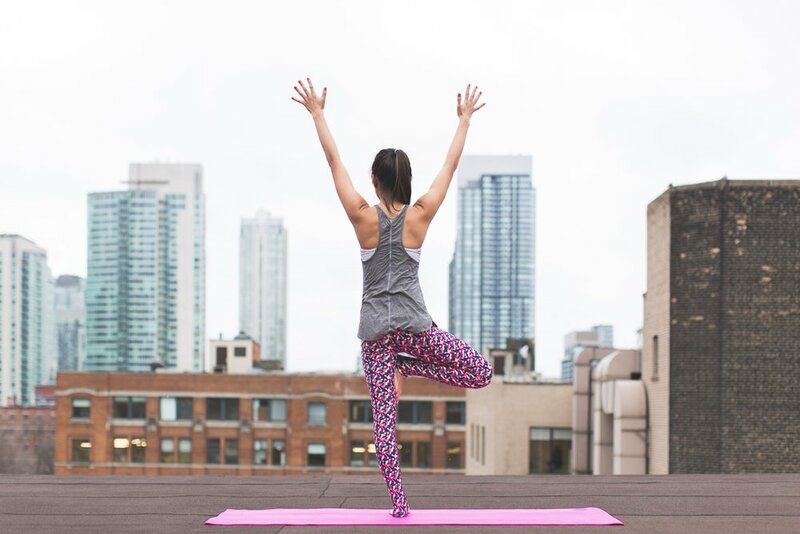 Wellness programs at work not only educate and empower your employees to move more and eat better, they’ve been proven to have a significant return on investment. Harvard Business Review shared the story of one employer and its wellness program participants who were offered cardiac rehabilitation and exercise training from a team of experts but weren’t heart patients. After the training, 57 per cent of those considered high risk, due to body fat, anxiety, blood pressure and other factors, were downgraded to low-risk. Even better, medical claim costs decreased by $1,421 per participant. A control group did not garner any of these improvements. When you invest in a wellness program, your employees can see you are investing in them. You are, with the great bonus of reducing costs. The key to most wellness programs is to have a strategy that benefits all parties. Focusing on lifestyle and disease management can be the difference in adoption as well. If you offer a way to alleviate some of their stress regarding a chronic disease with education or offer healthy cooking classes, these programs can go far in helping employees make better health choices. While this is more obvious in workplaces that require physical activity and are prone to hazards, it’s absolutely essential in a corporate setting, too. Part of this is about encouraging movement during the working day. Workers in plants and those sitting at desks need to stretch. So, make this part of your wellness program. When workers have dedicated time to learn how to stretch properly and then repeat this on the job, they may start doing it when they aren’t at work, too. To see if it works, track data to see if there are less accidents on job sites or less carpal tunnel claims in the office. You’ve probably got hand sanitizer available and plenty of soap and water. But not everyone really understands the benefits of hygiene and how it works to dissipate germs. So, reminders in the restroom are a good start, but instead of just saying “wash your hands,” tell employees why they should. Talk about the stats around germs. When they see it in this form, it makes more sense for them to practice good hygiene. Additional reminders during cold and flu season are also helpful. If you manage to change one person’s behaviour and keep a few more from catching something, it’s an easy win. Much of the discussion in these lists is about physical health, but mental and emotional wellbeing are just as important. Mental health can also be exacerbated by stressful workplaces. It may simply be the nature of the job not your culture. The bottom line is that most people feel stress at work from time to time. Mental health has been such a taboo in the past, but this is changing as more and more people are becoming affected by it. There is a good chance it’s already effecting your employees. A recent study found that people with untreated mental health issues take five percent more days off work. WHO also reports that one in four are facing mental health issues. With this kind of prevalence, it’s time to address it in the workplace. No one should feel embarrassed about it. Ensure your employees have resources and know that your culture understands these struggles and is a place of support. Emergencies can occur at any time. Empowering your staff with education and training on how to respond could make all the difference. Anyone is capable of learning CPR and basic medical response. Coordinate on-site training and certification for interested employees and always make sure you have several people in each location or department that have the training. It’s a great way to build collaboration and offer your staff real life skills. Meditation is a hot trend now in wellness. Besides being trendy, it can have beneficial outcomes. It’s been proven to be a stress reliever. A study of over 3,500 individuals who participated in meditation found that it had positive impacts negating depression and anxiety. Much of this improvement relates to cortisol, a hormone produced during stressful times. It impacts sleep, increases blood pressure and intensified depression and anxiety. Start with a meditation session with an expert who can teach the practice to your employees. It could be something that makes life just a bit easier. Less stress yields happier employees. Challenge your employees to get active. Maybe, that means a monthly bike ride or regular group walks. Make it easier for employees to join a gym, either with discounts or simply flexibility of schedule. Do more than just announce events, give them knowledge. Tell them why they should consider being more active and how it could change their lives. Lots of people start out fine in the beginning, but hit plateaus or get bored. Those are the times when you need to have solutions to get them re-engaged. Make sure they know that going to the gym, which many people despise, is just one way to exercise. There are lots of activities that count as physical fitness, and most people can find something they like. After all, the Wii got gamers off the couch, so anything is possible. No matter what the workplace setting, if you don’t work outside, the air you're breathing can cause occupational allergies, which means a sensitivity to different materials like carpet or paint. The results of these allergies could be runny noses, headaches or rashes. Worse yet, the consequences may be impeding brainpower. There is plenty of research to support this. Many studies have determined that the amount of ventilation or fresh air brought into a space does impact how those in that space feel. Proper ventilation makes all the difference, helping reduce absenteeism and the transmission of infectious disease. Some employees may be more susceptible than others and any relief you can provide is a step in creating a truly clean environment. Not every space lends itself to offering fresh air from an opened window. If opening windows isn’t an option then consider placing air purifiers with HEPA filters throughout the building. One of the biggest factors in health is what you eat. There’s a big difference in how you feel after eating processed foods and sugar laden carbs versus when you eat fresh veggies and lean meats. The workplace is known to be a place of communal food. Many social events revolve around food. Instead of donuts and bagels for breakfast meetings, try fresh fruit and sugar-free yoghurt. Rather than a typical vending machine full of salty chips and candy bars, offer a better option such as a healthy food delivery of vegan snack boxes. By placing importance on what employees eat and delivering choices that are healthier, you could see side effects of higher productivity. Going on a roller coaster of spikes in blood sugar is bad for productivity and bad for the brain. You may think that healthy snacking options are impossible to find or will be too costly. Not with SnackWize—your total solution for healthy snack delivery in Brisbane. It’s food they’ll actually like at an affordable price. Plus, it’s delivered right to you. Check out more about healthy snacking at the office in this post. Every World Health Day gives us the opportunity to ponder how to live a healthier life from all aspects—mind and body. These healthy tips for the workplace have benefits for employees and the company as a whole. As more of your employees make changes and start living healthier, you may find it’s contagious, and that’s the best kind of thing to spread.